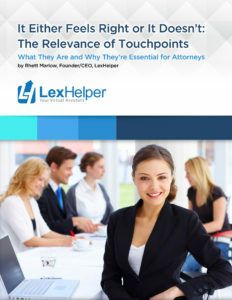 We understand that immediate customer service is a top priority for LexHelper clients. That is why we are thrilled to announce Live Chat Service powered by Olark. LexHelper is about solving problems. Our new live chat provides an instant opportunity to communicate, gain powerful insight about our clients’ needs and grow relationships. From the courtroom to the boardroom, we understand your business. Our team of business professionals includes attorneys, MBAs, engineers and entrepreneurs. We understand what you need to be successful because we have been there. We have developed the tools and processes to grow your business. 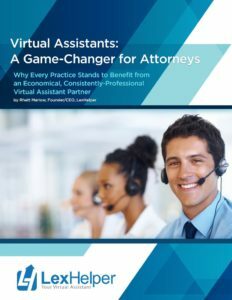 LexHelper is your Virtual Assistant. Call us at 877.828.5546. LexHelper is a McKinsey Donnellson company.